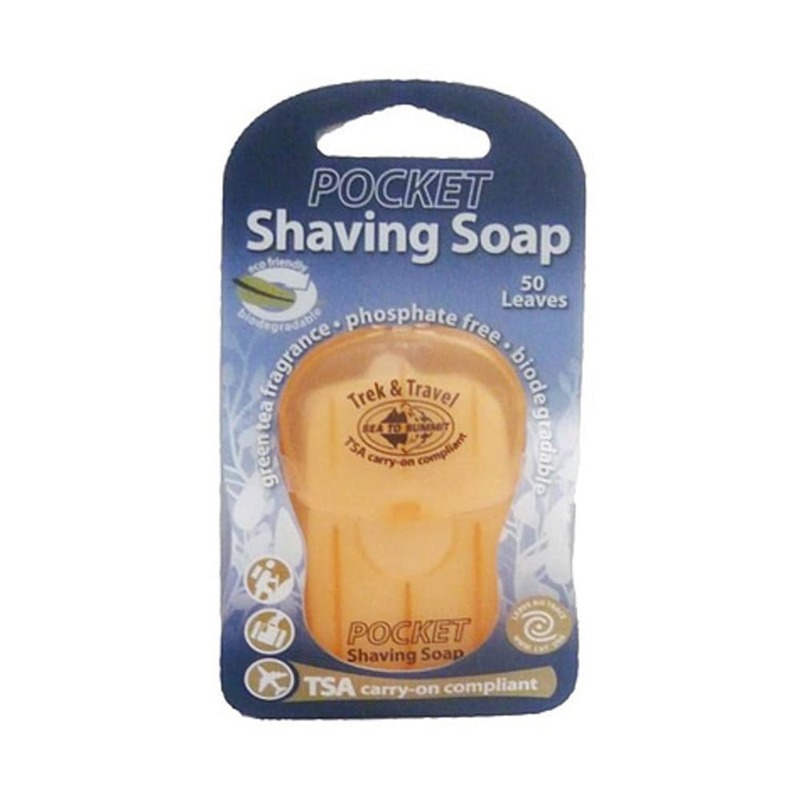 If Jeremiah Johnson can shave in the wilderness, so can you—Sea to Summit Pocket Shaving Soap contains 50 pure leaves of dry soap so it's easy to shave when you're backpacking, hiking, or traveling. Lightweight and compact—weighs just half an ounce! Yes, ladies, you may use this, too!